Thursday evening was blustery – the kind of evening that is best enjoyed beside a roaring fire. 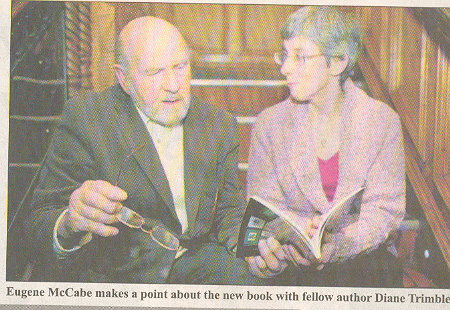 But it didn’t deter the hardy crowd that attended the launch of Fermanagh Miscellany 2010. One couple narrowly missed hitting a fallen tree and had to move it from the road to get to the event. But they got there and, as well as celebrating our literary accomplishment, we enjoyed listening to Eugene McCabe read from his novel, Death and Nightingales. The chapter he chose to read was very appropriate as it was set in Enniskillen’s Town Hall which is just down the street from where we were gathered. The evening also gave Fermanagh Authors’ Association members a chance to socialise and everyone was so busy chatting it was difficult to get them together for a photo. 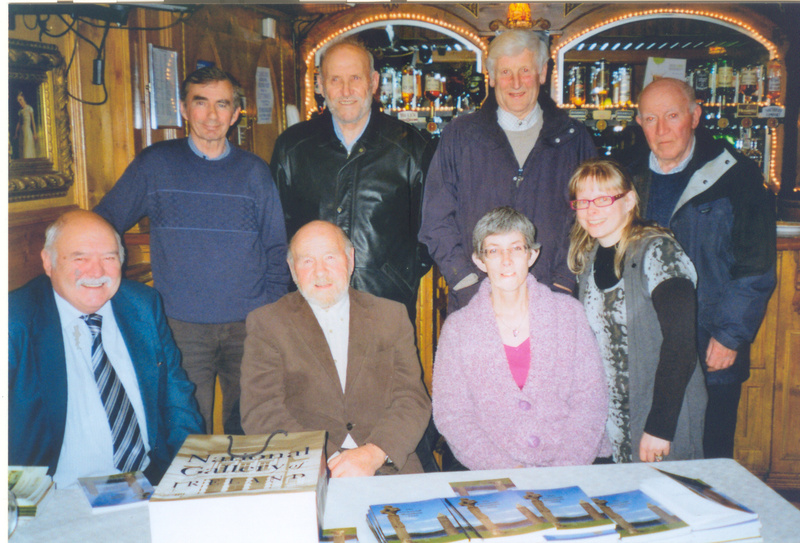 But, before we left Charlie’s, we got together some of the contributors to pose with Eugene McCabe (see below). 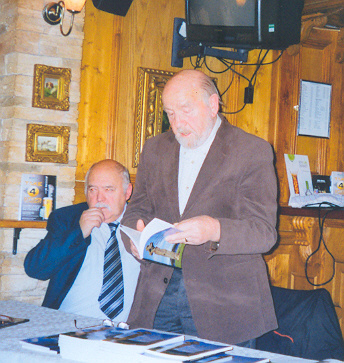 And the enjoyment didn’t end there as contributors to the Miscellany and guests all went home with further reading material – copies of Fermanagh Miscellany 2010 tucked under their arms. 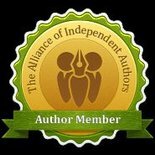 They have a mix of short stories, reminiscences, historical and factual articles and poems to look forward to within its pages. So, if the horrible weather continues, we can curl up by the fire and lose ourselves in the Miscellany. 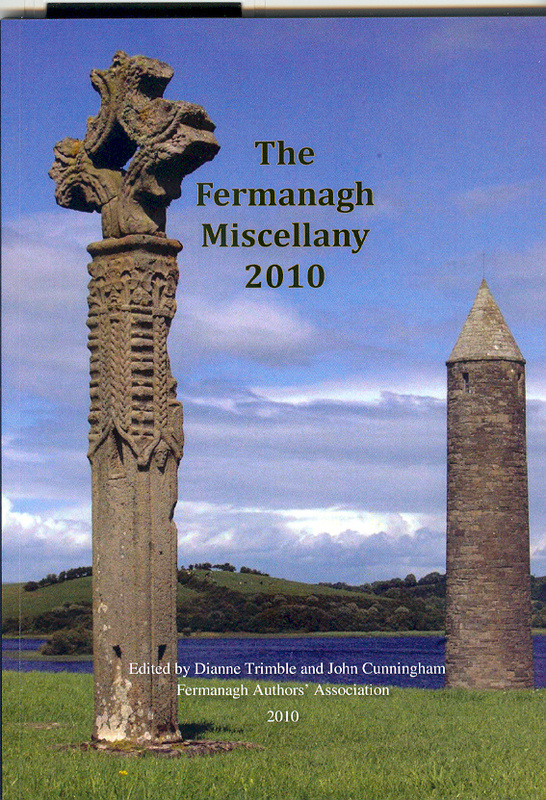 This entry was posted in November 2010, Uncategorized and tagged Bryan Gallagher, Dianne Trimble, Eugene McCabe, Fermanagh, Fermanagh Authors Association, Fermanagh Miscellany 2010, Ireland, John Cunningham, John Reihill, local history, Seamas MacAnnaidh, Vicky Herbert, writers groups, writing anthology. Bookmark the permalink.